Hello there and welcome to my shop! I hope that you find something here that will brighten your day. 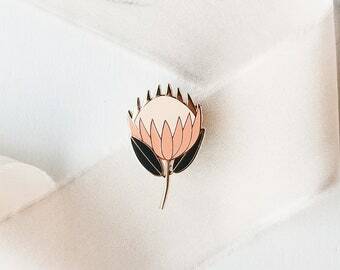 You can find my original enamel pins, keychains, handmade brass, and geometric mobiles and sconces called Himmeli featured on Style Me Pretty, Bridal Musings, Mod Wedding, and many more. Thank you for stopping by, and have a wonderful day. Sturdy material and great quality, but also delicate and detailed. 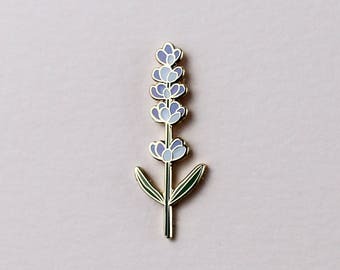 I love my lavender pin so much and will definitely be shopping here again! The Teardrop. A gorgeous and minimalist decor piece for any room in your home. Photo by Kelly Lemon Photography. 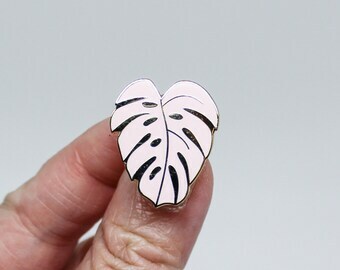 A portion from every sale of Pink Monstera Pins, through 10/6, will be donated to those that were impacted by the recent events in Las Vegas. The Prism and the Xerographica Mini, the perfect balance between structure and chaos. You can find these two stocked in my shop! A photo by MGB Photo of my Himmeli Diamond that was featured in Style Me Pretty and in Mod Weddings. The Wall Sconce Collection. Featuring my original wall sconce designs, in my office. The Orb, by Hemleva The prettiest vase, centerpiece, and home accent. 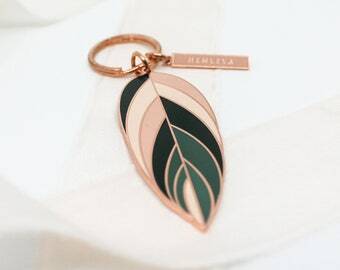 Launched in the Autumn of 2013, HEMLEVA is focused around bringing greenery into the home and into our daily lives. 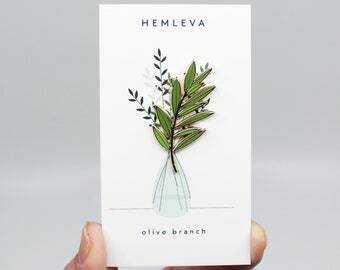 HEMLEVA is currently based out of Seattle, Washington, and is entirely run by Samantha Leung. Originally launching under the name Handmade Sam*Made, the company and brand launched with a mix of both traditional and original handmade brass mobiles, wall sconces, ornaments and more. 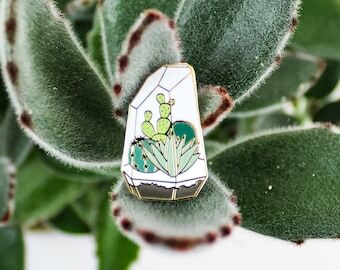 Samantha shares her passion for plants through her Air Plant Dating Profiles, General Plant Care, and through her original Plant-inspired Enamel Pins. 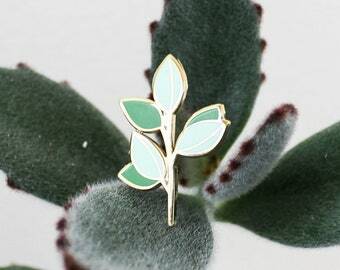 As both of the geometric and botanical pin collections grew, the number of stockists grew as well. 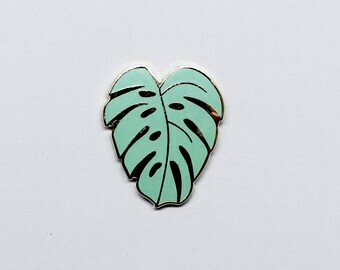 You can now find Samantha's handmade brass mobiles and plant-inspired enamel pins in over 200 stores around the world. To this day, each and every mobile and wall sconce is handmade by Samantha. 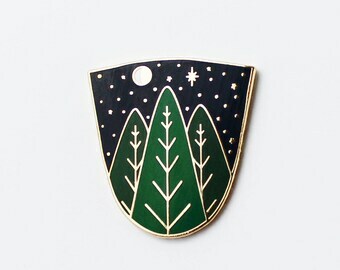 Every plant is hand inspected and cared for, and each pin is designed and packaged by Samantha out of her Seattle studio. Samantha has always been an artist and a maker. She learned how to crochet at the age of four, learned how to wood burn at six, was screen printing at eleven, oil painting at twelve, developing her own film at fourteen, and hand pouring candles at fifteen. When she was sixteen, her along with two other friends started a bespoke handmade costume business. Alongside this exploration of different mediums, Samantha was working consistently part time starting at the age of fourteen. Samantha graduated from Drake University with a BA in Law, Politics, & Society - an interdisciplinary study of the effect of Law, Politics and Society and how each discipline drives change in the other. She also graduated with minors in Sociology, Psychology, Art and Politics. All the while serving as the Art Director for the campus satirical magazine, DUIN, She simultaneously served as committee chairs for over 15 different organizations while attending Drake University, as well as successfully lobbying with a Non-Profit for the well-being of Iowa citizens. Following graduation, Samantha took a year to teach English and American culture in Northern China. Upon returning, she decided against pursuing law school. She married her college sweetheart, adopted a cat, moved cross country from Chicago to Seattle, and decided to start a business. I hope that you find something that you enjoy in my store. I attempt to design and create things that will help curate a beautiful life. Hello my name is Samantha, but everyone calls me Sam. I grew up in Chicago, went to college in Iowa & currently live in Seattle with my husband & our kittens, Winston & Ferguson. 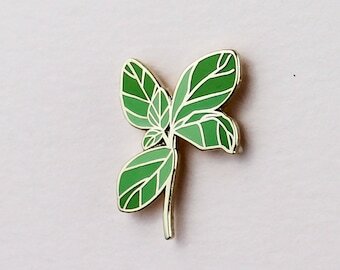 I design all of my pins, as well as design & hand build each mobile. Hello hello & welcome to Hemleva! Thank you so very much for stopping by my store. I hope that you find something here to love & to find a home for. Please check back often as I develop my store & add new items. Returns, refunds, replacements and exchanges are only available for orders that were placed on hemleva.com and hemleva.etsy.com. I am so sorry to hear that you need to return your order. All returns must be declared within 30 days of delivery. You are responsible for shipping your returns at your own shipping cost using a carrier of your choice. Since you will be liable for any lost or damaged packages, I recommend using a carrier that provides a tracking number. Your return must be authorized prior to proceeding with the return process. The order must by postmarked within 5 days of the return being authorized. All merchandise must be returned unopened, unused, and in its original packaging. If the item is returned and is not in saleable condition your return will be denied. ⌂ DAMAGED IN TRANSIT / Was your item damaged in transit? Not a problem! All orders are insured with my shipping insurance company. In order to file a claim, any items that are damaged in transit must be reported within 24 hours of delivery. 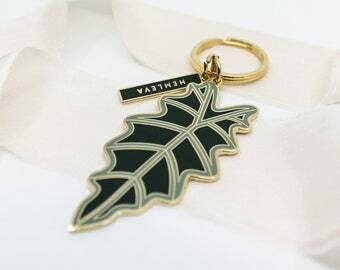 Please e-mail photos of the damaged packaging and products to hello [!at] hemleva.com. I can assure you that we will work together to resolve the issue in a timely manner. ⌂ AIR PLANTS / All air plants have a 14 day return window from the day that you receive your plant. ⌂ CUSTOM ORDERS / All sales are final custom orders. Hemleva is currently more than happy to accept payment via Direct Checkout, PayPal, Etsy Payments and Etsy gift cards. Hemleva can currently ship anywhere within the United States as well as to several countries internationally. If your country is not included on my current shipping list, please let me know and I might be able to add your country as well! 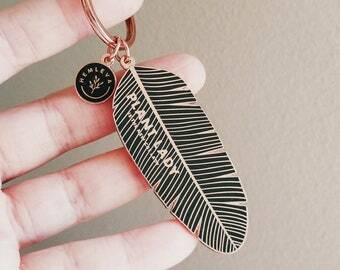 ⌂ SHIPPING & TURNAROUND TIMES All himmeli are handmade to order and will be shipped within 1-10 business days after payment clears. 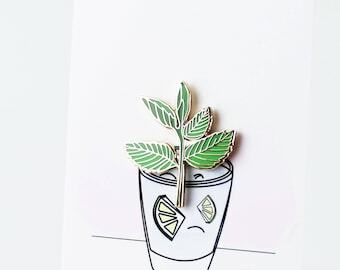 Pins and plants typically ship within 1-5 business days. Orders that contain plants are strategically sent out at the beginning of the week to minimize the amount of time the plants are exposed to the cold weather in a mailbox, post office or postal truck. All orders may be delayed during the holiday season due to volume and capacity. All packages will be shipped through the USPS Priority Mail or First Class which will include delivery tracking. Shipping to countries outside of the US also includes insurance and delivery confirmation. Domestic orders $10 USD and under may be shipped via USPS First Class Mail without a tracking number. FASTER SHIPPING / If you would like to have your order shipped via USPS Priority Mail or Priority Mail International for faster shipping, please let me know. I am more than happy to accommodate your request and can make a custom listing for the additional shipping costs. The upgraded shipping charge can vary between ~ $5-70 depending on the weight, size and final destination. As a result it is only available by request to assure that there aren't any overage or shortages charged. ⌂ INTERNATIONAL ORDERS & TURNAROUND TIMES The buyer will assume all responsibility of customs duties, taxes, and fees. I am unable to alter the price of the good or to relabel the item as a "gift". Please allow up to 45 days for your order to arrive. If you are from a country that uses characters, please use the Latin Alphabet when entering your shipping address to ensure that the package will arrive to the correct place. 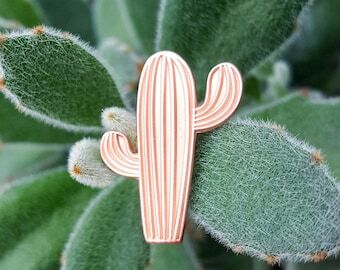 ⌂ WHOLESALE ORDERS & TURNAROUND TIMES Turnaround times for wholesale orders are listed within my Wholesale Portal and are updated frequently. Please reference the Portal for up-to-date information. ⌂ SIGNATURE CONFIRMATION / for neighborhoods where packages are commonly stolen If you are aware of package thefts in your neighborhood or in the past, then I would recommend adding on signature confirmation to your order for the added security. Otherwise, if you do not select it, you are assuming responsibility for the package as outlined below. ⌂ LOST OR STOLEN PACKAGES We are not responsible for lost or stolen packages; however, a claim will be filed with the USPS. If a package is returned to us due to a customer error (e.g. incorrect name, address or package refusal), the customer will then be responsible for any re-shipment charges. If a package is lost or stolen, there will be a claim made for it as soon as possible, which is 30 days for USPS (if it was sent through Priority Mail). Which is also why I ask for you to please allow 1-3 weeks to receive your delivery & a little longer during peak holiday periods. If you would like a reshipment of a new order of goods due to it being lost along the way, you will be responsible for shipping charges once more. Otherwise we are more than happy to cancel your order, and to follow through with attempting to file a lost package claim, with the initial shipping cost being assumed by the purchaser. ⌂ ORDER REFUSAL We reserve the right to refuse an order at any time. ⌂ ANY OTHER QUESTIONS? If you have any other questions in regards to shipping policy, please feel send me a message and I will get back to you as quickly as possible. All artwork, reproductions, & images on hemleva.etsy.com are made and Copyrighted by Samantha Leung. They are not to be used without written permission by Hemleva. We are not liable for any damage done to people, product or property due to improper care when hanging or caring for our products. Are Air Plants included with Himmeli orders? No. Traditionally each Himmeli does not come with an air plant. It is meant to be a minimalist, sculptural piece. It also allows for the Himmeli to be shipped internationally. If you would like to add a plant, you can mix and match the air plants from my shop to suit your particular piece and tastes. Subject to availability. What do I do if my package is lost or stolen? If a package is returned due to a customer error (e.g. incorrect name, address or package refusal) the customer will then be responsible for any re-shipment charges. A claim will be made for it as soon as possible, 30 days for USPS. In general, please allow 1-3 weeks to receive your delivery & longer during holidays. If you would like a reshipment of a new order of goods due to it being lost along the way, you will be responsible for shipping charges once more. Otherwise we are more than happy to cancel your order, & to follow through with attempting to file a lost package claim, with the initial shipping cost being assumed by the purchaser. 1-10 Business Days from the day of ordering. All of the brass himmeli pieces are handmade to order. That process includes cutting, polishing, assembling and attaching hardware all by hand by the shop owner herself. This ensures that the piece you receive is exactly what you request, and that the brass is as bright and shiny as possible. If you need your piece sooner than that, please send us a message, and we will do our best, within reason, to accommodate your request. What is the difference between a Tie Tack Back and a Rubber Clutch back for the pins? The Rubber Clutch Back is made out of 100% rubber. 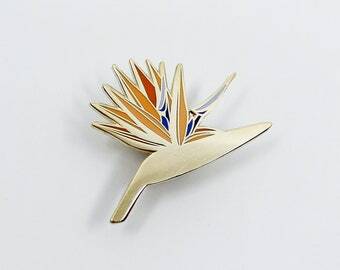 It is a great option if you plan on wearing the pin on a T-shirt, or a hat. It is pretty secure, easy to use, and an excellent option for children. 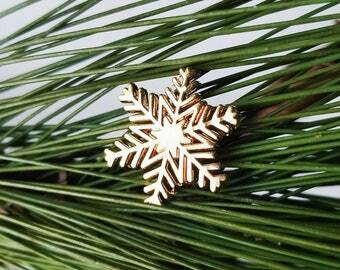 The Tie Tack Back is brass plated. It is an incredibly secure option, and perfect if you want to wear your pin on your Jacket or a bag. They essentially "lock" into place and a mechanism has to be moved in order to release it from the pin post. 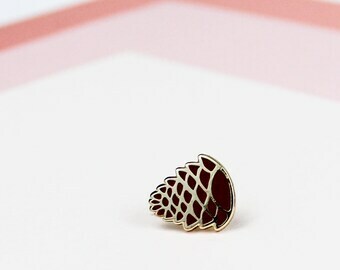 It is a high-end option that is great if you are concerned about losing your pin as you wear it.